The Asian Art Museum of San Francisco is one of the best places for Diwali celebration in California this year. The museum has announced to offer free admission to its exhibition and free access to a host of cultural programs on October 23 as part of the Diwali celebration in the Bay Area. Diwali at the Asian Art Museum of San Francisco is not just a celebration but an out and out cultural event for Indians in the Bay Area. The day-long event will commence at 10:30 AM and continue till 4:30 PM. One of the most exciting Diwali events 2016 in USA, it has the schedule full of interesting programs including live concert, art exhibition, storytelling session, outdoor performance, music workshop and likes. A cross-cultural performance of Indian classical dances including Kathak, Oddissi and Bharatanatyam is a major attraction of this Diwali celebration in San Francisco. To be held in the afternoon of October 23, the program is an interpretative dance drama on the Ramayana. Eminent artists, Niharika Mohanty and Navia Natarajan, are taking part in the dance drama. An Indian classical music concert is another attraction of Diwali celebration at the Asian Art Museum of San Francisco. It will start with an outdoor program on Fulton Street Mall at 11 AM. Gautam Tejas Ganeshan will supervise the outdoor performance which will be accompanied with various musical instruments like drums and percussion. The museum has also planned an interactive workshop on Indian classical singing in the Samsung Hall to add to the cultural quotient of this Bay Area Diwali event. The one-hour workshop from 3:30 PM to 4:30 PM will be open to all. Those interested in Indian classic music, including both Indians and Americans, can participate in the workshop. 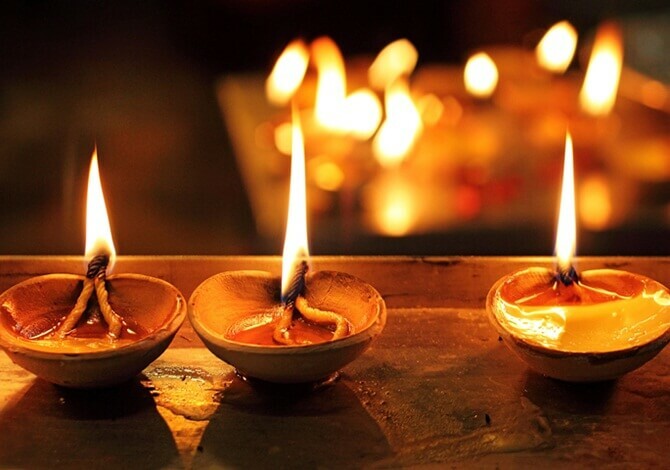 There are engaging activities like making of diya lamps for the Indian community in San Francisco. Apart from regular stories of the “wicked, the wily and the wise” in the galleries, the museum’s award-winning group of storytellers will narrate delightful episodes from the Ramayana to entertain the young Indians in America. The Diwali celebration at the Asian Art Museum of San Francisco will be followed by the opening of a grand exhibition titled “The Rama Epic: Hero, Heroine, Ally, Foe” on October 21. The most anticipated exhibition will depict the key characters of the Indian epic, including Rama, Sita, Hanuman and Ravana, through a number of artworks dating back 1500 years. The exhibition will remain open on October 23 too. The artworks on display during the “The Rama Epic: Hero, Heroine, Ally, Foe” exhibition are sourced from India and other Asian countries like Indonesia, Thailand, Cambodia and Myanmar. Museums from the United States and Europe have contributed rare paintings on the Ramayana and age-old sculptures of the epic characters to the exhibition. The display will also feature the artwork by modern artists giving new perspectives on the stories of the Ramayana. Even the centuries-old artifacts from the royal palaces of India are traveling to San Francisco for this spectacular exhibition. Indian Americans in the Bay Area will unite over the Diwali event at the Asian Art Museum of San Francisco from 10:30 AM till 4:30 PM on October 23, 2016. Travel Beats is an Indian American Community portal by IndianEagle, a leading travel organization for Indians in USA. Travel Beats publishes stories and news about Indian events n USA and Indian Diaspora. Subscribe to our free newsletter for the latest updates. Hello, My name is Anirudh Gaur. I am a student of UC Davis community and the president of Indian Graduate student organization (IGSA) at UC Davis. For our Diwali 2018 celebration, we are looking for different cultural group that can perform at the event. I am writing to you to get some help for the same. We are planing one performance to be a storytelling explaining davis community and other the prime reason of celebrating diwali. I heard that your storytellers for the same is very good. Is it possible to get a contact info. of them or get in touch with them. Additionally, I will also appreciate if you can provide me other groups that might be interested in events like that. Kindly let me know. Thank you for your help and considerations.